The energy at Lightning in a Bottle 2017 was ethereal this year. The bountiful winter rains brought in a beautiful and full lake for the first time, which had a huge impact on the festival as a whole. 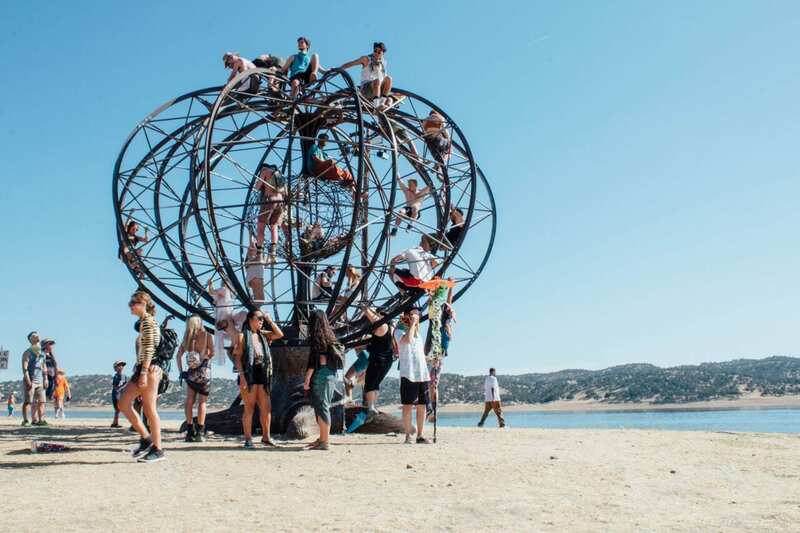 That, in addition to new structures, a new layout, and a lineup chock full of fresh names and longtime favorites alike, made for a weekend of love, laughter, and great vibes at Lake San Antonio. Getting there Thursday was a little nerve wracking, because I was very familiar with the stress of getting into LIB. But this year we prepared with water, snacks, and a bomb playlist for the trek. As my friends and I pulled up to the line Thursday morning around 7:30 AM, we were ecstatic to say the very least. As the line slowly inched its way forward, so did our excitement. After about 2 hours and a handful of friendly greeters waving us in, we had finally made it inside to our campsite at Edgewater, less than 100 feet to the left of the Woogie Stage, right on the lake. Being as close as I was to my favorite stage and to the water was part of the reason I loved this year so much. That, and the fact that we were camping with 20 of our close friends all around us. Thursday was cold and overcast all day, which made unloading the car and setting up camp much more relaxing than in years past. That cold weather also made it easier to go out and explore on Day 0. And I wasn’t alone, everyone else who had already gotten in and set up camp was feeling the cold weather as well, exploring and wandering just as I was. That day I was able to experience all of the new art for the first time, including a climbable, spinning art piece that was near the Pagoda Bar (and I was able to spin in it before they chained it down, for safety reasons most likely). Sitting up in that spinning art piece was a highlight of my weekend, yelling and laughing along with 30 or so others, dancing to the music of the Pagoda, looking over the lake. A truly unforgettable experience. Walking around, seeing everyone’s smiling faces, giving and receiving high-fives on the famous high-five bridges, feeling the good vibes pouring out of everyone, it felt like I was truly back home. That day only 2 of the stages were open – the Pagoda and Favela bars. I spent the entire day at the Favela Bar, and one of the peak moments was during sunset when the clouds finally started to break and sun rays peeked thru while Dena Amy threw down one of the top sets of the weekend. 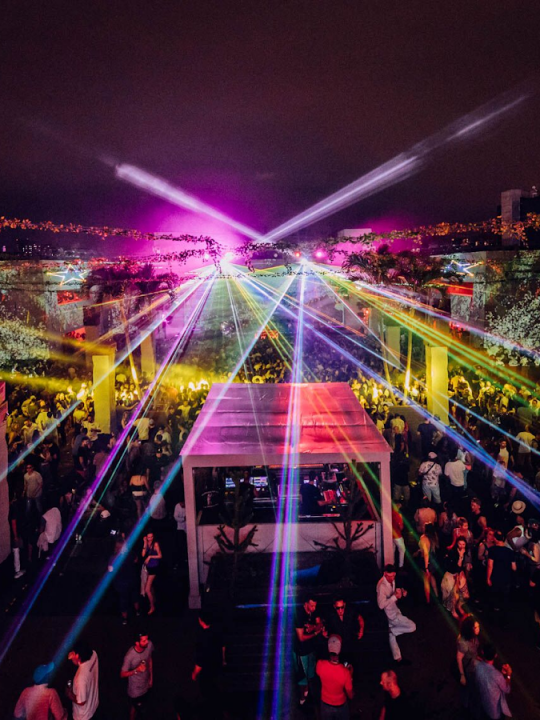 The night only got better as the sky became dark and LIB lit up, with Rufus du Sol putting on a surprise DJ set at the Favela. 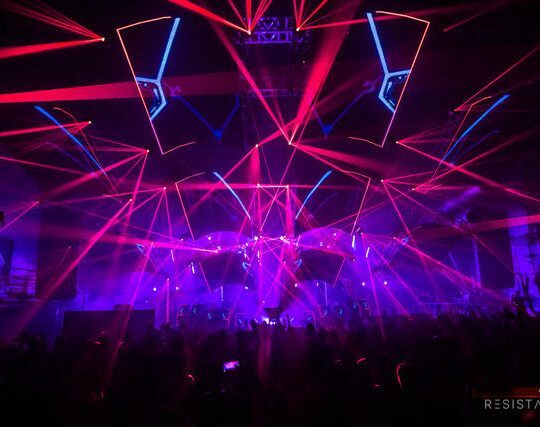 All things considered, this day’s energy was a precursor for how the rest of the weekend was going to be – electric. Friday morning I woke up feeling something I hadn’t felt at a camping festival in a long time – cold. It was so refreshing, a still-overcast sky and a chilly breeze welcomed me into Day 1. The clouds began to clear up and the sun started to do its thing, warming up the peninsula and preparing our bodies for what was to come. I decided a dip in the lake would be just the thing to wake myself up, and I was right. 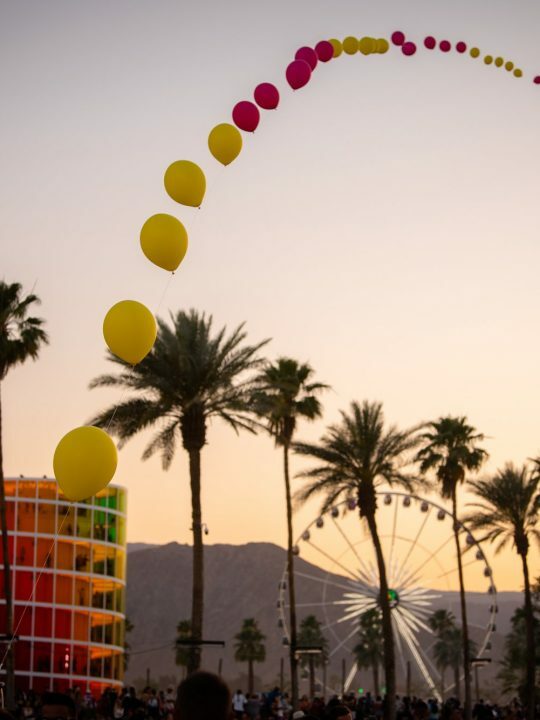 After a hearty breakfast of chicken and waffles, I set out for our first full day at LIB. 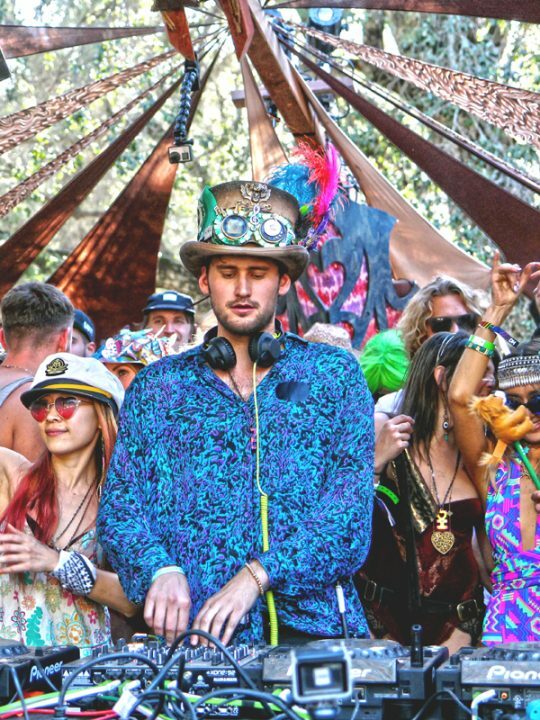 I entered the Woogie and was greeted by my 20 or so friends who were already there, getting after it while Fleetwood Smack was on the decks. Marques Wyatt took over after, and dropped an old classic that really got me in my feels: Domino by Oxia. The Woogie this year was very different, instead of its usual place atop the peninsula, it was moved to the bottom and given a make-over (since there were no trees around to construct their usual rendition of a treehouse-esque stage). 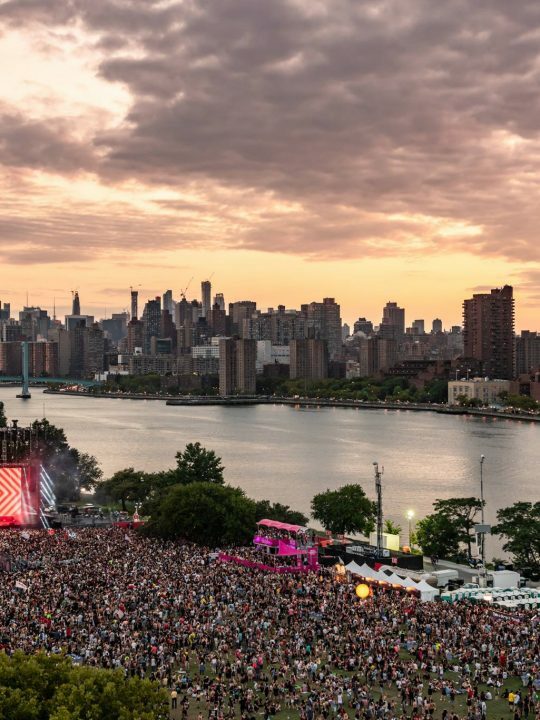 According to Do LaB, the reason for this was that they wanted all of the stages to be by the lake this year. 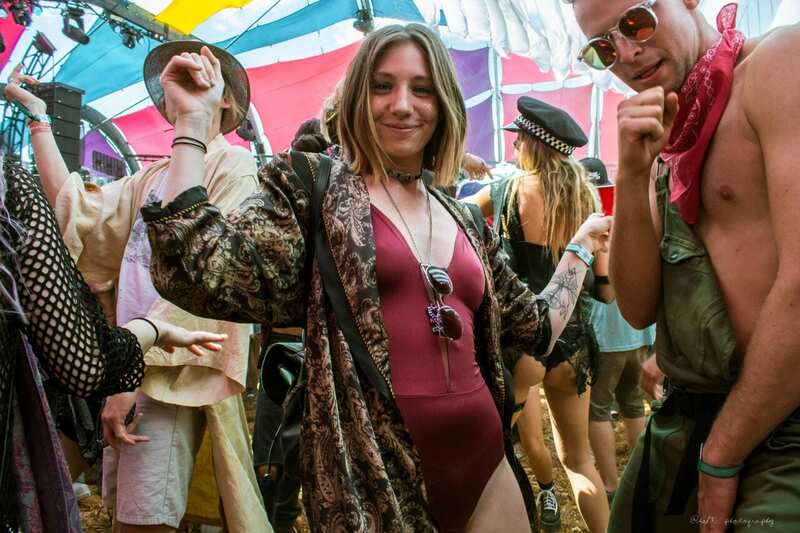 Regardless, the Woogie vibes were still very much alive, keeping everyone woogie-ing all weekend long. The sun was out, but it wasn’t hot – it was perfect, a few clouds in the sky and a cool breeze combined with an 84 degree day made for the most ideal first day I could’ve asked for. 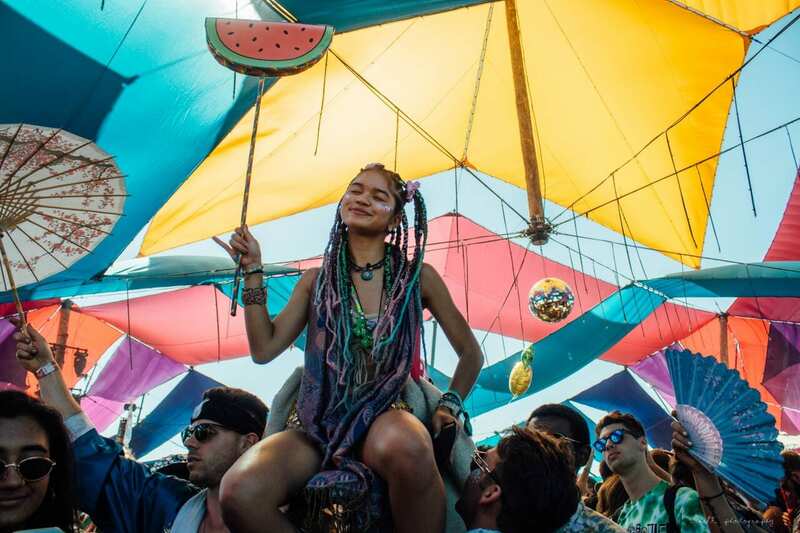 With the music bumping, we made our way from Woogie to Favela and back again all day long, with some exploring at Lightning and Thunder thrown in between. From Day 1, I’d have to say the top sets were Lauren Lane, Barclay Crenshaw, Nic Fanciulli, Rufus du Sol, and Shawni. Lauren and Nic brought me to life in the Woogie, while Rufus played an absolutely breathtaking live set at the Lightning Stage; one of the best moments of their set was being up close while they played my favorite song, Until the Sun Needs to Rise . Barclay put on a special performance at the Thunder Stage and Shawni kept the afterhours vibes strong at the Favela. As the sun began to envelope the dawn sky, I made my way back to camp to get some sleep, but not before soaking in that post-day 1 sunrise! Day 2 is when the heat kicked in. After about 4 hours of sleep, I decided it was time to get up and start the day. This day would definitely be a full on lake day. My friends and I grabbed some floaties, jumped in, and relaxed for a good 2 hours. I borrowed a friend’s paddle board and went out all the way to the middle of the lake – it was so serene, so peaceful. I thought about how good it felt to just float, how amazing it was to be experiencing all of this with some of my closest friends, and about how this was my first festival that included a swimmable lake. It was a game changer. After we cooled down a bit, we got dressed for the day. Spacegeisha at the Thunder Stage was a unique treat; she threw down some of the nuttiest psytrance I’ve heard in a while at 12:30 in the afternoon. After that I did some exploring, scoping out some of the new spots like the Compass, the Beacon, and the White Library. The White Library was one of my favorite new additions, it was an all white building complete with sharpie markers where you could write a meaningful message on the wall for someone else to read. As the sun set that day, I made my way over to the Woogie for some Eagles & Butterflies, and I was not disappointed. 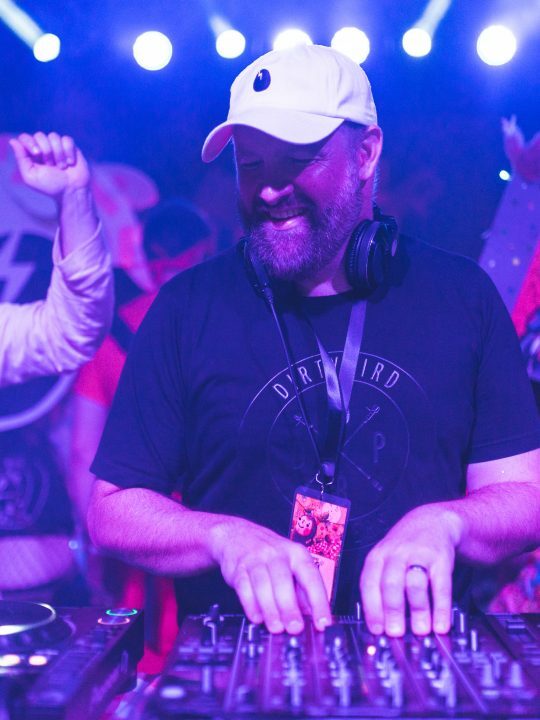 Joel Mull took the reigns after that, leading us on a truly wicked journey – then it was Guy J who lifted the crowd into a higher dimension during his set, and ended with Hernan Cattaneo’s smooth and sensual sounds to close out Day 2. In between all of that I took a walk over to Thunder for even more proper psytrance from the one and only Perfect Stranger. Dance Spirit stole the night during after hours at Favela, throwing down one of the most psychedelic and groovy sets I’ve seen in a long time. The final day, after about 2 and a half hours of sleep, I got up from my deflated air mattress in my sweat-filled tent to gear up for Day 3. The heat had officially taken its toll on my body but I still had too much excitement inside to let that affect me. After a power acai bowl and some out-of-this-world IMMORDL ice coffee, I felt fully energized and ready to finish the weekend on a strong note. After chilling out at the Favela, I headed to the Woogie for one last night of bumping techno and house. Monolink and Stephan Bodzin were absolutely outstanding, it being my first time seeing both of them. After Stephan, I ran over to the Lightning Stage for a very special performance by Big Wild, who was one of my main reasons for coming to LIB. He exceeded my expectations, bringing tears to my friends’ and I’s eyes and electrifying our souls. 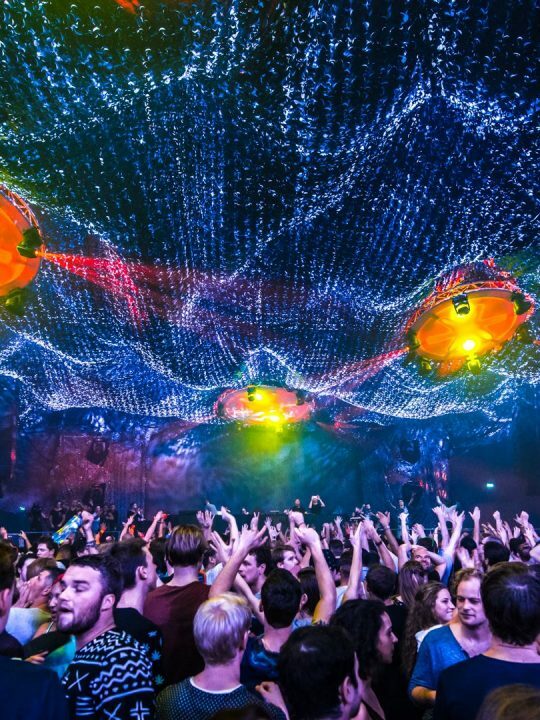 We ended our night the best way we knew how – back to the Woogie of course, for Christian Smith and then finally Richie Hawtin, who put on a stellar closing set for the weekend. Overall, I would have to say this was my favorite LIB yet. The people, the music, the art, the production, and the energy I experienced all weekend brought the biggest smile to my face and put so much love in my heart. I came into this weekend hoping for the best, and I came out getting so much more. And after this year’s LIB, I have to say I have a newfound love for the Favela Bar. In years past, it had always been a fun stage, smaller in scale and in between the bigger stages. 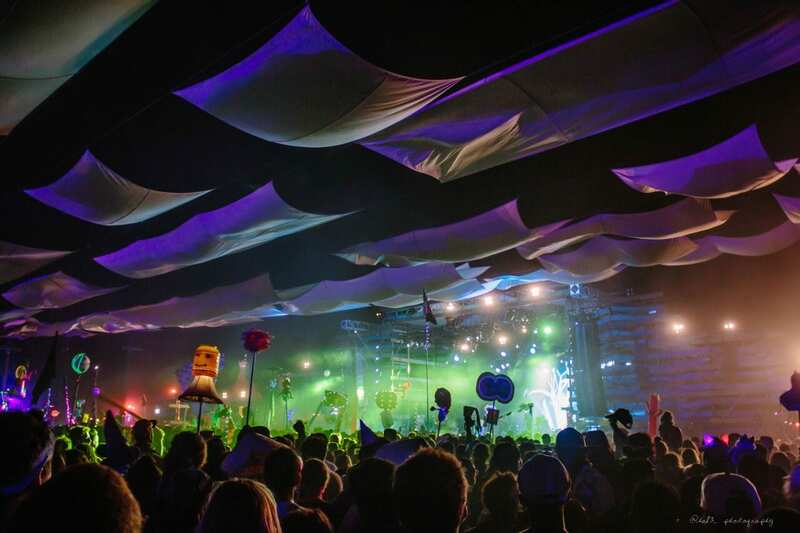 But this year I spent so much of my time there, it was probably my favorite place to be at LIB. It’s small, intimate, and full of this great, infectious energy….and even more infectious music. 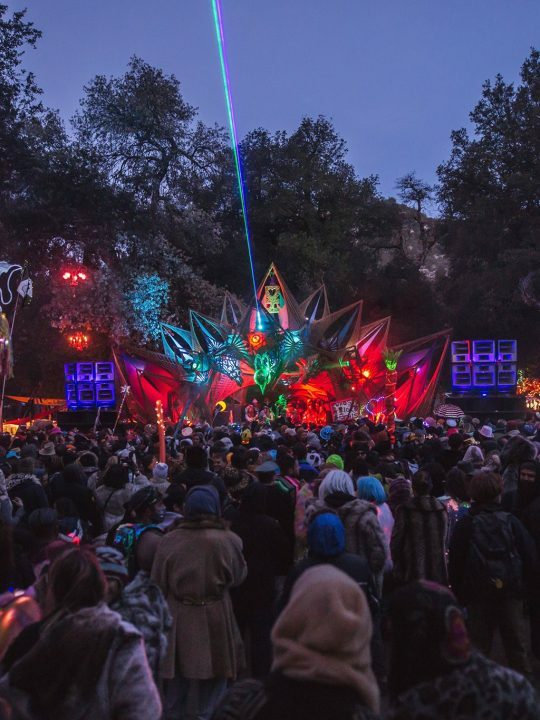 LIB has a special place in my heart, it was my first transformational festival back in 2015 and was the jumping point for many of the transformative experiences I’ve had since then. Although the weekend had its deep lows as well as its soaring highs, my friends and I returned closer, stronger, more resilient, and more motivated than ever. And I came back with a renewed sense of self, an emotional and spiritual high, and so many amazing memories with friends new and old. I’m beyond ready to take the lessons, love, and happiness from this weekend and pour it back into the real world.